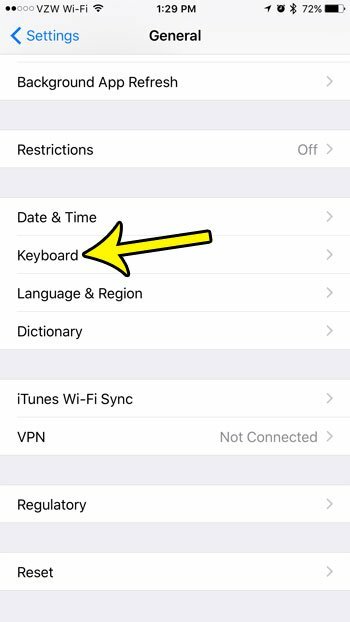 If you often need to converse with others through text messages, and both parties speak Spanish, then you have probably been looking for a way to type characters that are part of the Spanish alphabet, but are not on the English keyboard. The way to do this on your iPhone 7 is by adding the Spanish keyboard. Fortunately this is not something that you will need to pay extra for, or which requires you to dramatically alter the settings of your device. 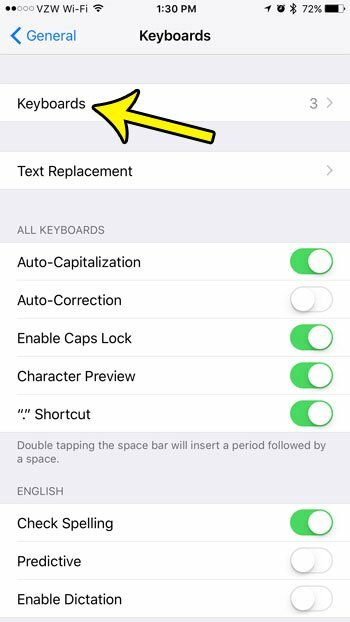 Your iPhone includes a number of additional keyboards by default and you can toggle between multiple keyboards within the apps that use those keyboards. 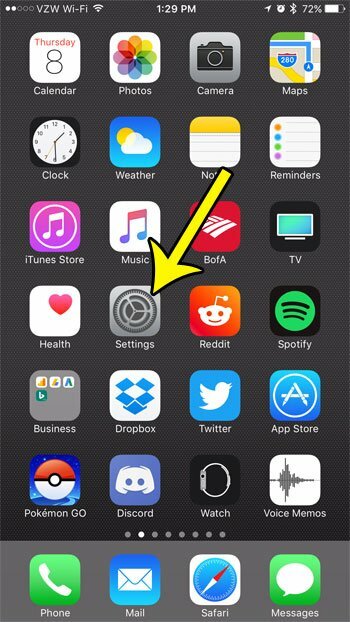 The steps in this article were performed on an iPhone 7 Plus. 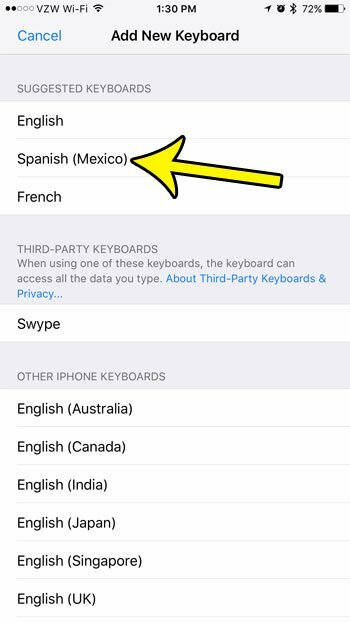 Once you complete these steps you will be able to access a Spanish keyboard in addition to the English one that is on your phone by default. You can switch between keyboards by tapping the globe icon at the bottom of the keyboard. The Spanish keyboard is available in apps that use the default iPhone keyboard, such as Messages, Mail, Notes, and more. Step 4: Tap the Keyboards button at the top of the screen. Step 5: Select the Add New Keyboard button. Step 6: Choose the Spanish option under Suggested Keyboards at the top of the screen. If you don’t see it listed there, scroll down and select it from the alphabetical listing of available keyboards. 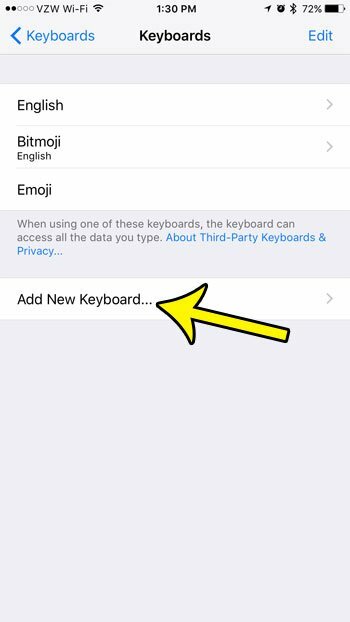 Do you friends or family members keep telling you to get the Bitmoji keyboard, but you aren’t sure how? 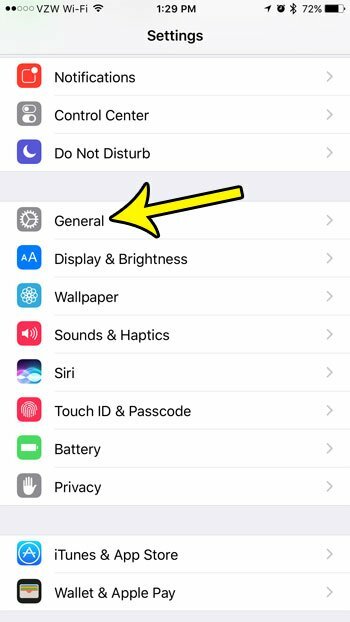 Learn how to add the Bitmoji keyboard to your iPhone 7 so that you can start sending those fun cartoon pictures of yourself, too.